Data Clinic Ltd’s data recovery and hard drive repair services are situated around Warwick and throughout the UK. Data Clinic are the UK’s leading specialists in RAID, Server, NAS and Hard Disk Drive Data Recovery Services. Our prices are highly competitive and our Customer Services friendly and efficient. We have regional offices throughout the UK and also offer a free secure collection service from your door. We are the experts at data recovery from hard drives when things go wrong. We understand the value of your data and the stress you may feel, and we know how easily faults and accidents can occur. When your hard drive, server or storage device fails, you can trust us to correctly diagnose the problem, find a solution and then initialise the file recovery. 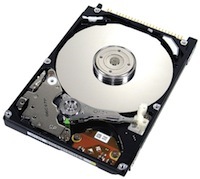 We are experts in data recovery from hard drives, we also offer laptop recovery. When you call us, we‚Äôll give you a quote over the phone, then we‚Äôll send out a courier to collect your faulty device. Once the device arrives at our Service Centre, the fault will be identified and you‚Äôll be provided with a time estimate for the repair and recovery. We will then proceed with the restoration of data structures on the device, we will recover files from hard drive, extraction and repair of the raw data, and examination of file listings. Once the data has been recovered, we transfer the files to your chosen device, such as a working external hard drive, and dispatch this to you immediately. We offer realistically priced, no-nonsense services and timescales to suit your needs and budget, and our customer service team will keep you updated throughout the data recovery process. We also offer 24/7 on-site disaster recovery support for businesses hit by data loss issues, with trained technicians available to visit your site in the event of an enterprise emergency. Data Clinic’s data recovery services are used by individuals and businesses throughout the UK with damaged or faulty hard drive storage devices. We offer hard disk recovery from desktop PCs, Macs, and USB external hard drives. We offer HDD recovery with a better than 90% success rate from the two major world manufacturers of hard drives, Seagate and Western Digital. Data Clinic Ltd are the only national data recovery company with a dedicated RAID Recovery and Support Team. Experienced and extremely well-equipped raid data recovery team to carry out full server system recovery for organisations experiencing server problems. We specialise in RAID and NAS recovery following natural disasters such as fires and floods, as well as providing data retrieval solutions to every day problems such as multiple hard drive failure, RAID config corruption, and power outages.